If you count a few hundred “Mads” and a number of “pocketbooks”, Thorpe and Porter produced a couple of thousand (mostly black and white reprints of American) books and comics between the early 1950s and the mid 1970s. 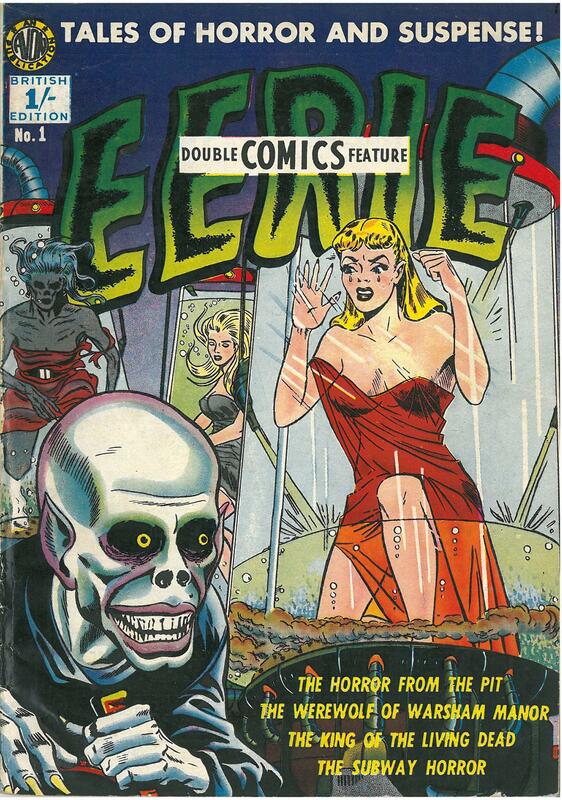 I believe there were only three issues of “Eerie” circa 1952. This British version contained the contents of Avon’s “Eerie” No 1 and to fill up the remainder of the 68 pages, SF/Fantasy stories “Dara the Viking” and “The weapon out of time” from Avon’s “Strange worlds” No 2 and “Crom the Barbarian” from Avon’s “Out of this World Adventures” No 1. But not all issues of Eerie No 1 appear to be the same !?! 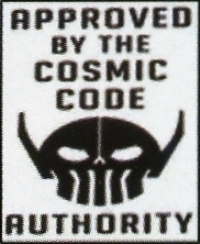 The copy available on the Interweb doesn’t contain the strips from “Strange Worlds” or “Out of this World Adventures”. It consists of black and white versions of the whole of Avon’s “Eerie” No 1 and No 2 between different inside and back covers. Either this was a “copy-and-paste” job (which is doubtful considering the source of the file) or my copy has been tampered with (looks original to me), or there were actually two completely different versions of this comic !!! 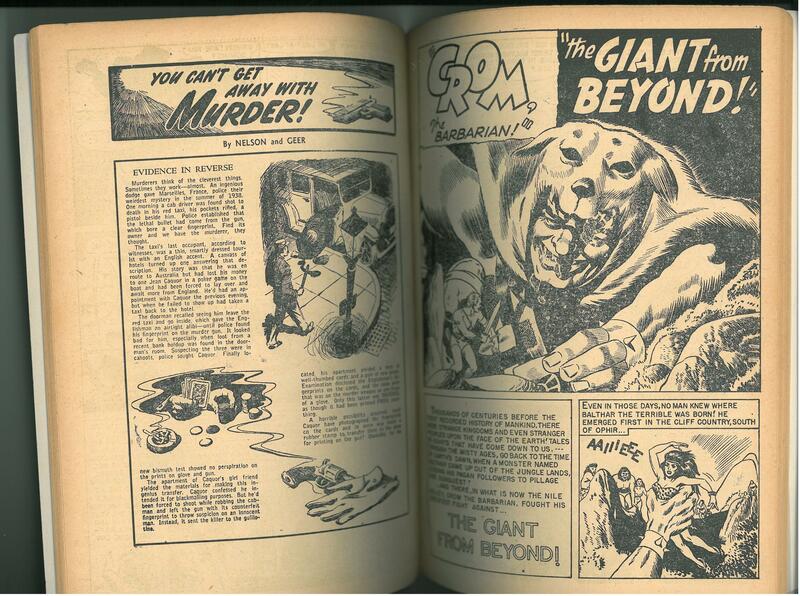 Looking at the “Classics Illustrated” ads It appears that my copy is the earlier of the two. The images on the blog are from my issue. Here is the “other” issue. Many Thorpe and Porter titles disappeared after a few issues, but Kid Colt, Tomahawk, Laurel and Hardy and Korak had respectable runs. The “Classics Illustrated” issues were very popular. Here is the back inside cover and the back cover from my “Eerie” number 1.